When it comes to generating interest among consumers with smartphone launches, Apple undeniably takes the crown. But according to T-Mobile, OnePlus is now giving the world’s most valuable company a run for its money. As many of you may know, the OnePlus 6T was announced this past Monday in New York. Shortly after the event, T-Mobile opened up sales of the smartphone in its flagship Times Square store three days early. And today, the third-largest carrier has announced that OnePlus’ latest device generated a longer line of people than Apple’s iPhone XS series in September. How many units T-Mobile has managed to sell through its Times Square store so far remains unclear. 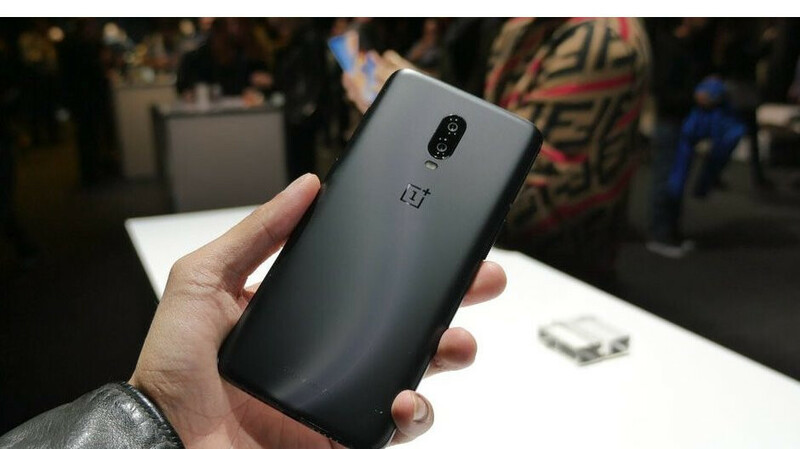 However, with online pre-orders set to commence tomorrow, the amount of interest the smartphone has already generated suggests the OnePlus 6T will undoubtedly be the best-selling OnePlus device so far. For those unaware, T-Mobile acts as the smartphone’s exclusive carrier in the US and is currently selling the Midnight Black model with 8GB of RAM and 128GB of internal storage. Usually, this particular version would command a price of $579. However, customers that trade in one of over 30 eligible devices can obtain the flagship for just $279. ha ha . about dam time. the big companys get some competetion. Apple have discourage this for a few years now, since Angela took over retail 3 years ago. They have moved on from that and I am glad. Is the one plus going to sell 9 million in their launched weekend? Because that's what the XR did. Not only that T-mobile practically gave the phone away. You don't pat yourself in situation like this. Having said all that, read the article title again. So iPhones haven't been given away Sprint is offering the XR free to just signupjustbstop it dude. All carriers run huge deals to get more subscribers. Remember those BOGo deals you all claimed iPhones did need? To think, it was funny when Pete said that in the future there would only be Apple, Samsung, and OnePlus...if they can keep cranking out amazing devices then maybe this might come to pass. There are some key things missing for me in the 6T and a notch is a notch, just bad design but this could be phone of the year. Just out of interest, what are the key things that are missing for you? Jack, NFC and probably ip68. It has NFC and is splash resistant. If you look at videos the 6 actually survived under water so there is definitely some water resistance. All of this although I can make do without a headphone Jack if I had to, especially with my Icons but wont give up wireless charging and a healthy IP rating. Also would rather not walk away from Samsung Pay although I could make do with GPay. To be honest, i love Samsung's Hardware. They do HW the best, even the quality is best unlike the others. But what puts me off is their software TouchWiz/Experience UI. Having owned their S4, Note 4 and S6 Edge in the past, i am never going back to that software. Only if they could offer OxygenOS on their hardware. Man, that would be an absolutely amazing device! Half their hardware wouldn't work if you added Oxygen OS. And the days of TW being laggy are long since gone. I'm getting two early in the morning. Yep. Why not when one line is free? Probably shouldn’t disclose that. Never know who’s reading that. Um, it's not a secret.... and really... no one cares. That trade in deal is hard to beat only $279 for a great all around phone! It's missing some key features for me like wireless charging, no headphone jack, but it's a great value to get a well rounded flagship phone. And it's great to see them finally being available on a US carrier. Goes to show that if you make good phones at fair prices, people will buy them. Now that OnePlus has a retail channel in the US, this could really cause some heartburn for the other manufacturers. Now the average Joe doesn't know who OnePlus is, but OnePlus clearly has a lot of street cred via word of mouth. We are seeing the rise of OnePlus as a serious player in the smartphone market. My wife, who couldn’t give a crap about phones, told me yesterday she wanted a Oneplus 6T. I had to do a double take. Word is getting around somehow.